It’s a very large security risk. Your developer Apple ID can change anything about your apps or remove them from sale, or reroute the sales money to another account. If it’s your personal Apple ID, it can also make purchases, and can even log into iCloud and fetch all of your contacts and calendars. And more. Occasionally, as I found out this morning, a bug or badly behaved coincidence in one of these apps or services can cause your Apple ID to be locked out and force you to change its password, which is inconvenient. 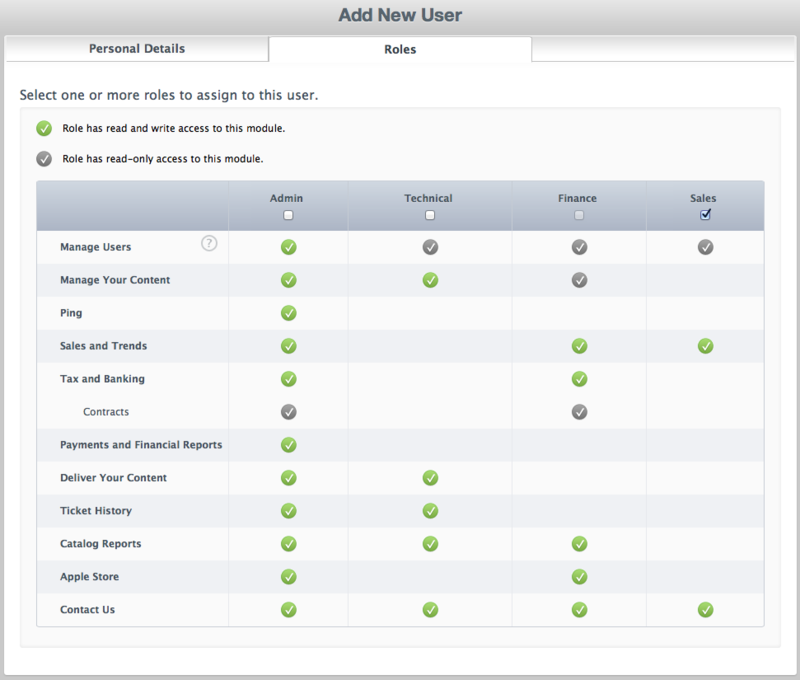 Fortunately, you can avoid both risks, for the most part, by creating an additional user in iTunes Connect that only has access to sales reports. Select the “Sales” role for the new user, generate a nice random password, and give that user’s credentials to these services. That way, the worst that can happen to you if one of these services is compromised is that your sales data might become public, which might be awkward, but wouldn’t be as potentially destructive.